A Florist designed flower bouquets allows your florists to give you the best they have for the dollar amount you want to spend. 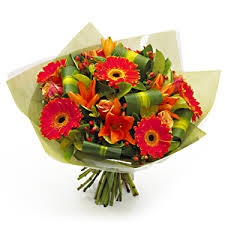 You can leave ideas of the flowers you would like when you order flowers online. Florist designs are as creative as the flower arrangements in our flower cart. However, they are unique to you, and will not duplicate the flower arrangements. You can come into our flower shop in Los Angeles and pick your own flowers, or send flowers online today.